A massive flow of desperate Venezuelans into neighboring Colombia is impacting Bogata's implementation of a historic peace accord, the US military's top officer for the region warned Thursday. Under a 2016 deal, the Revolutionary Armed Forces of Colombia (FARC) disarmed its 7,000 fighters in order to join the political process and end the country's 50-year civil war. The deal also is meant to ensure thousands of former fighters are reintegrated into Colombian society. 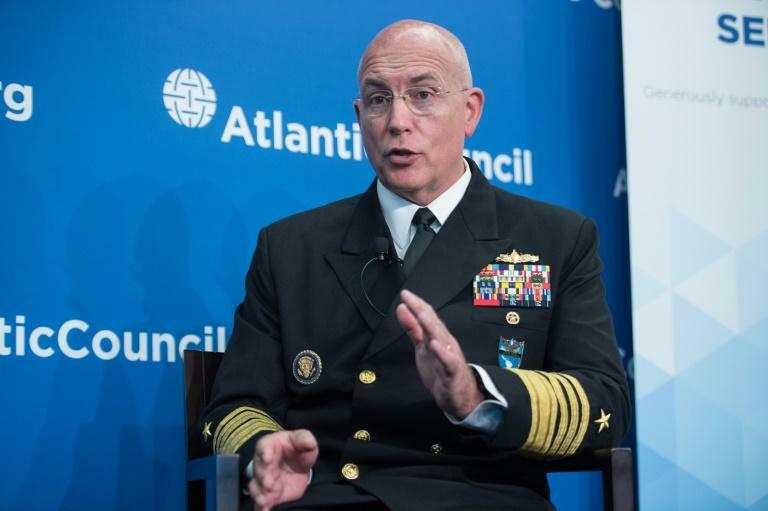 But according to Admiral Kurt Tidd, who heads the US military's Southern Command, some of those reintegration funds are being diverted to care for Venezuelans who have fled their crisis-hit country. "A lot of resources that were going to go into reintegration of former FARC members into society... have had to go into taking care of Venezuelans who have fled the economic devastation of Venezuela," Tidd told reporters at a Washington event. He said the biggest concern about Venezuela was the "enormous outflow" of desperate Venezuelans without food, medicine or the means to support themselves, and the impact on neighboring countries. "We've seen tens of thousands in Peru. We've seen tens of thousands down in Brazil," Tidd said, noting that "probably" at least a million Venezuelans had gone to Colombia. US President Donald Trump in August said he was mulling a range of scenarios for Venezuela -- "including a possible military option if necessary." But Tidd did not comment when asked if a military option would help deal with the situation. "Right now let's talk about taking care of the Venezuelan people and helping the neighboring countries deal with that," he said.